Hi guys! 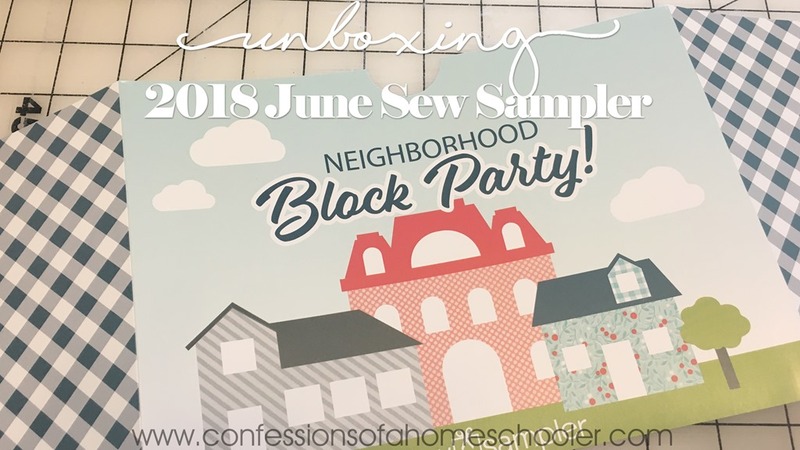 Today we’re unboxing the 2018 June Sew Sampler box! It’s curated by Bonnie & Camille and is super cute as always! Let’s take a look inside this months box! 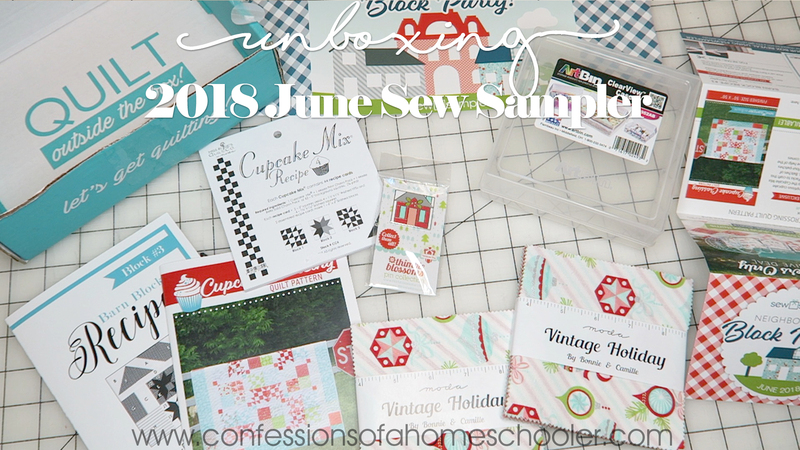 Watch my 2018 June Sew Sampler Unboxing video here! What is the Sew Sampler Box? The Sew Sampler box is one of my favorite monthly subscription boxes. It always has super cute and new fabric along with a bunch of sewing notions and I look forward to seeing what’s in each box. 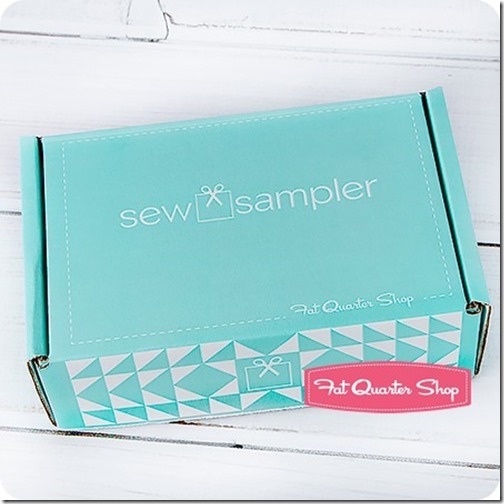 The Sew Sampler Box is a monthly subscription quilting box that delivers surprise goodies right to your door! It’s $24.95/month and the boxes ship on the 20th of each month. There are at least 5 specially chosen items which may include fabric, notions, patterns, thread, and anything else full of quilty goodness! You’ll also receive a Block Recipe card each month with three size options. These can be put together for a super cute sampler quilt! You can purchase previous recipe cards here. If you’re new to sewing or quilting these are a great way to build up your stash of fabrics, patterns, and notions. Especially if you’re unsure of what to get to start out. I’ve been sewing and quilting for about a year and a half now and I think the Sew Sampler boxes are really fun and have thus far been packed with super cute and helpful tools. Interested in signing up? Click here to sign up for your Sew Sampler box here! Disclosure: Fat Quarter Shop sent me this month’s box for review. The opinions expressed in this video were my own, and were not influenced by the free product or company.